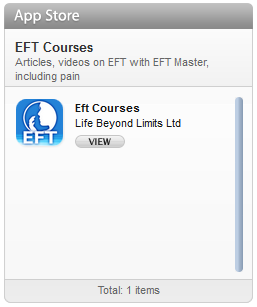 Ran a level 3 EFT training course last weekend, had a great time. Now on to the level 1 and 2 that I am running this weekend. Life moves incredibly fast, perhaps too fast at times. Well anyway, the EFT Retreat that we have set up in February is coming along really well, we already have had people asking for information. 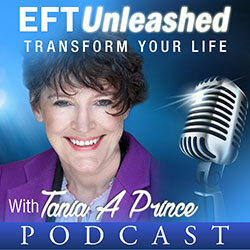 I absolutely love doing intensive transformational work with EFT, and this weekend will be highly focused on that. What more do you want, a lovely beach, the synergy of like minded people and intensive, block clearing EFT, yes and the icing on the cake, a good laugh. My sister phoned me earlier to tell me about one of her young sons, seems he isn’t picking up language too well, anyway to cut a long story short, one teacher wanted to send him to special needs, however his normal teacher went on her intuition and did an intelligence test with him. Turns out he is in the top 16% intelligence wise. Hmm, seems he needs special needs tuition after all. She felt so proud of him, she just had to tell me, so I’m telling the world. The interesting point is that he is a kinesthetic learner, he likes hands on stuff, then he flies with it. Finally back to the heading. A really great way with parts is to have a conversation with the part, whilst tapping on the karate point. Firstly ask to speak to the part responsible for the behaviour you want to change. Thank it for what it has done. This helps creates rapport. The more you fight parts generally the more they dig their heals in and resist. Then ask it, what is it’s intention by having you do that behaviour, what is it trying to do for you? Many smokers have answered this by saying, “it is trying to kill me”, however when you explore and ask if there was a positive intention, what would it be, you get to the real reason, such as it wants me to be happy. You might need to keep asking the question, “what is it trying to do for you by doing that”, a few times to get at this information. This can be a powerful realisation for many people. The next step is to set up communication with the creative part and ask it to come up with some new choices that will fulfill what the other part is trying to achieve. 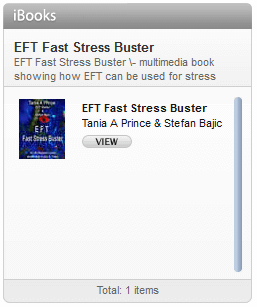 Once you have this information, you have the language that you can use as you tap through the EFT points. Initially focus on the problem and then to begin to shift it to the new choice. Well I hope you understand all of that. Much easier to do it, than write it and read it.